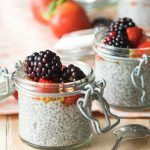 This is a super simple and adaptable recipe for overnight chia seed pudding (vegan and gluten free). 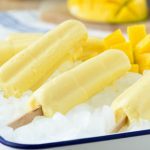 It’s a two ingredient recipe for that you can make in under 10 seconds. Simply mix it before bed, pop it in the fridge, and enjoy your tasty breakfast the next morning! 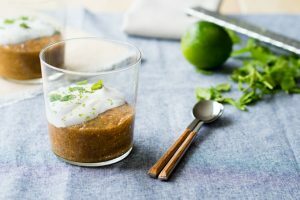 Plus, you can make this chai seed pudding with any type of milk – regular, almond, soy, coconut, hemp, hazelnut…the milk world is your oyster! If you’re anything like me, there will be times when you’re too tired to think about breakfast the night before or first thing in the morning. One of the lazier breakfasts recipes I’ll make for us is a chia seed pudding. Right before we retire to the bedroom, I will spoon some chia seeds into a jar, top it up with almond milk, and then pop it into the fridge. Then it sits in the refrigerator overnight. Voila! 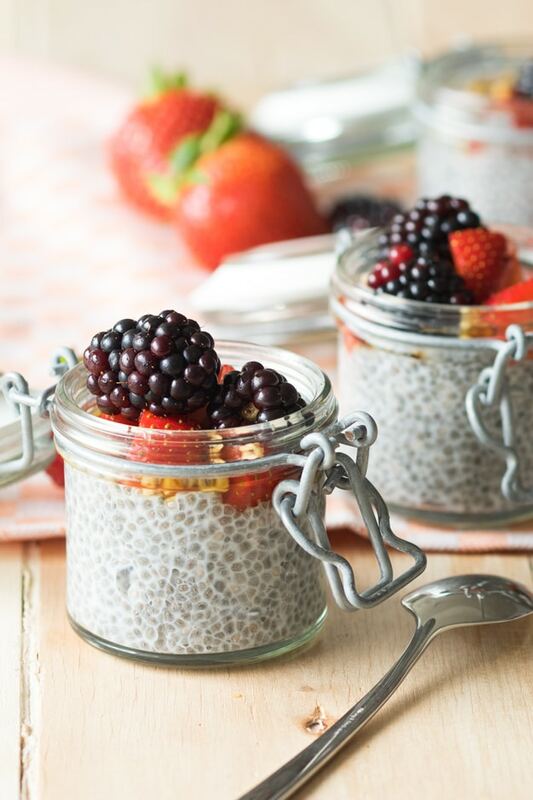 By the time morning arrives, a magical chia seed breakfast pudding is ready to be served. We just need to add our favorite toppings. 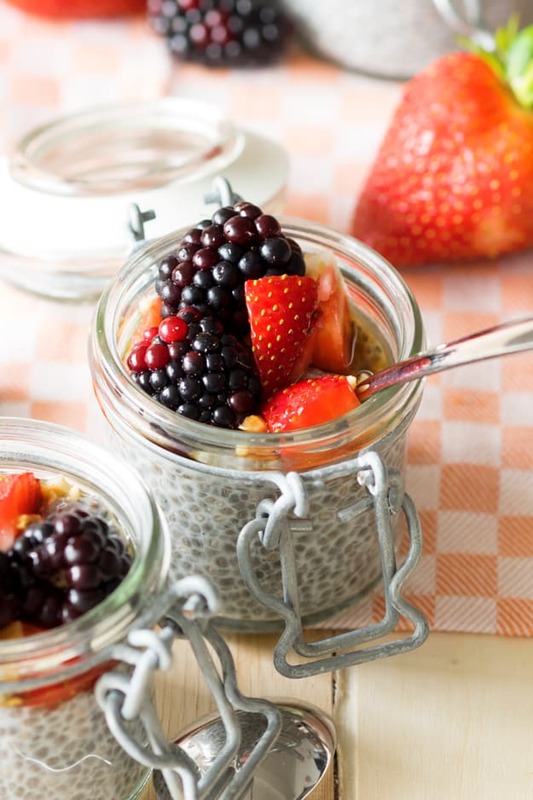 This chia pudding recipe is both simple and adaptable, so it makes an easy breakfast. The most important part of making chia seed is getting the chia seed to milk ratio correct. Once you have that ratio down, you can experiment and make your own chia seed pudding with different milks and different toppings. We also mix the milks sometimes, depending on what we have left in our fridge too (it’s a great way to use up the last bit of milk in the jug). You should keep in mind the type and brand of milk that you use may also naturally add some sweetness to the chia seed pudding – some milk alternatives come sweetened already, while others sometimes are more naturally sweet. As summer is coming to a close, we’re getting the last few handfuls of juicy berries here. 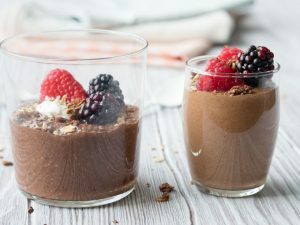 So I’ve topped the chia pudding pots in the photos with said berries. You can always top chia seed pudding with other fruits, nuts, or seeds. 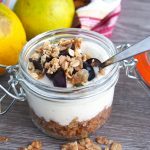 If we are low on fresh fruit, we’ve also topped our chia pots with granola, which offers more of a delicious crunch instead! This offers some variety from the typical yogurt and granola, plus you get the added nutrients from the chia seeds. 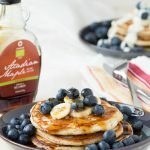 I sweeten chia pudding with a bit of maple syrup sometimes, but often we just have it plain without any sweetener. Honey and agave syrup also work well as sweeteners. 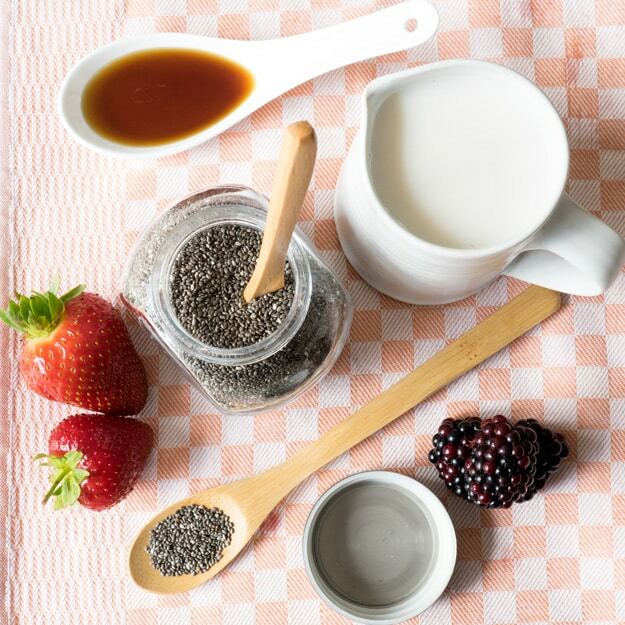 Now you know what kind of milk to use for chia pudding, and what toppings to use, here is the crucial part of the chia seed pudding recipe. 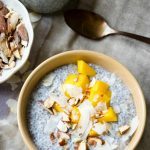 It’s quick, it’s simple, and now that you know the super secret ratio of chia seeds to milk, I’m hoping this chia seed pudding gets added to your morning breakfast routine. But don’t skip away so quickly! Even armed with that perfect chia seed ratio, you still need to follow the steps in the recipe correctly. No one likes clumpy chia pots. 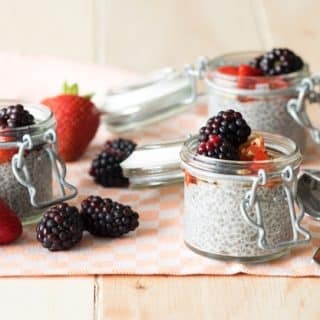 This healthy breakfast also keeps in the fridge for several days, so you can make a batch of chia seed pudding at a time. The best way is to make the chia pudding in advance is to do it in a big bowl. In the morning, give it a very good stir to break apart any clumps. Once the pudding is a good consistency, then portion it out into the individual pots for the next several days. 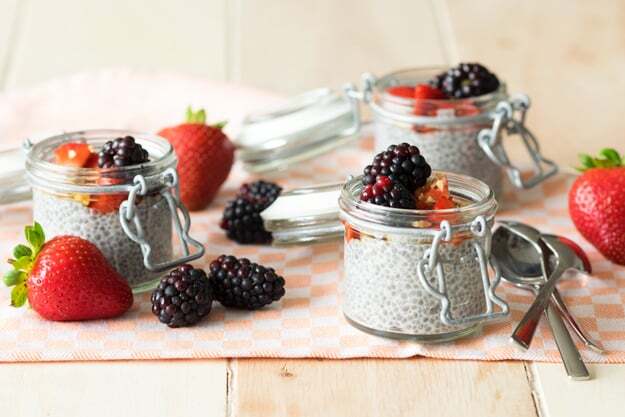 Here are a few jars that would hold this chia seed pudding for a quick grab and go recipe. 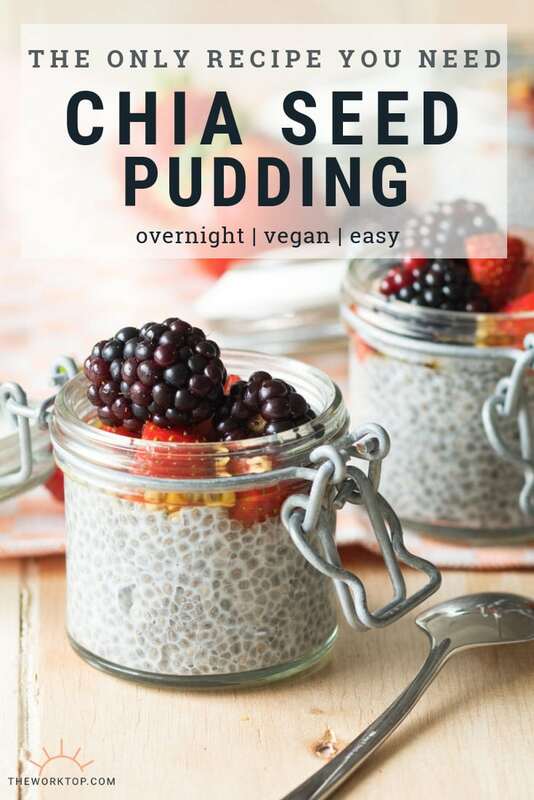 This is a super simple and adaptable recipe for overnight chia seed pudding (GF and vegan). It's a two ingredient recipe for that you can make in under 10 seconds. 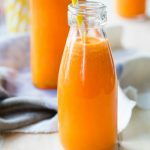 Simply mix it before bed, pop it in the fridge, and enjoy your tasty breakfast the next morning! In a medium bowl, gently stir together the chia seeds and almond milk. Cover and set in the refrigerator overnight. 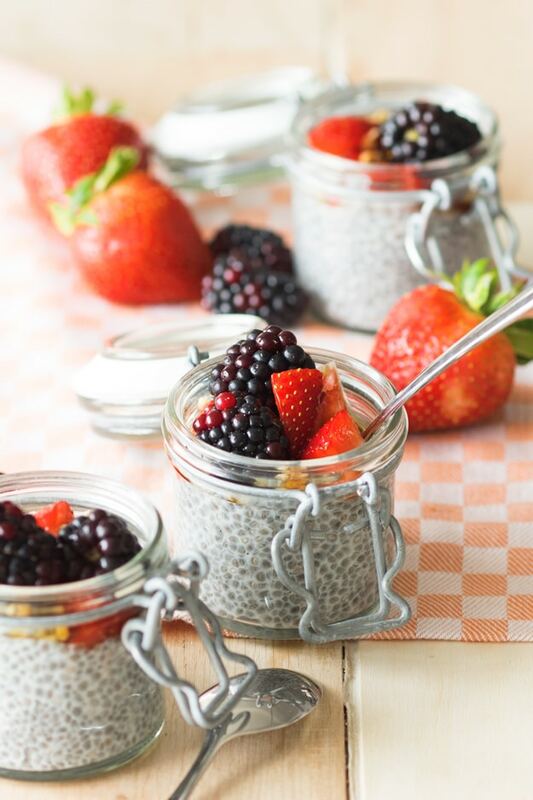 In the morning, give the chia seed pudding a very good mix, breaking apart any clumps. It's normal for it to have clumps, but once you give it a good stir, it will become a pudding texture. Top with your favorite fruits, nuts and seeds (I like to use strawberries, blackberries and chopped hazelnuts). You can also mix in some yogurt to make it extra creamy. If desired, drizzle on maple syrup to taste. If you are planning to make chia pudding ahead of time, the best way is to make the pudding in a big bowl. After it has soaked overnight, in the morning, give it a very good stir to break apart any clumps. Once the pudding is a good consistency, then portion it out into the individual pots for the next several days. 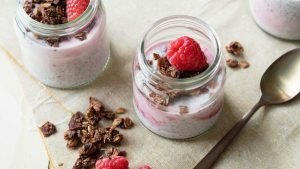 Want more chia seed puddings recipes? 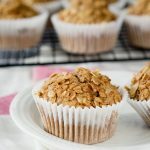 Find more breakfast recipes! 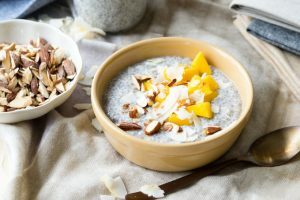 I tried using your recipe for adapting a coconut chai rice pudding using a little erythritol instead of sugar, Chia seeds in place of the rice, and coconut cream, for a keto version. It came out divinely! Thank you! 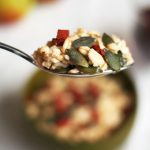 When you say cover the bowl – what is best? Should I put the lid if the bowl comes with one? Or just covering the bowl with aluminum foil is ok? Also, if I wanted to add vanilla extract, should I do that once the pudding is made or when I am combining the chia seeds and almond milk. Thanks! Hi Lauren – you can cover the bowl with anything handy. 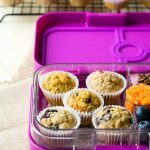 I often make it in my pyrex container and just cover it with the lid that comes with it. I’ve never added vanilla extract to the chia pudding before, but I have used this vanilla paste. I add it in when I mix it together. But, it’s easier to just make the chia pudding with a vanilla almond milk if you have that. Looks delicious! I currently eat a bowl of plain yogurt with some berries, walnuts, etc. after every meal – both to fill me up and because I like it, but I would like to eliminate dairy from my diet (along with meat). The chia pudding looks great, but I would also like to have some other healthy “yogurt replacement” options – do you have any recommendations? This looks absolutely delicious and I love that this is something I can make ahead of time as well. 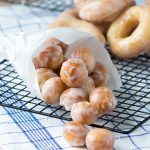 Can I make them ahead, then warm them when ready to eat? ?